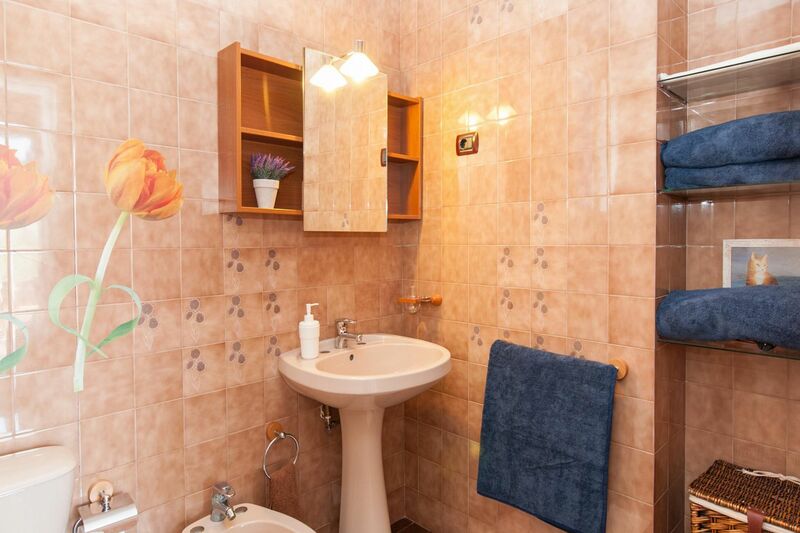 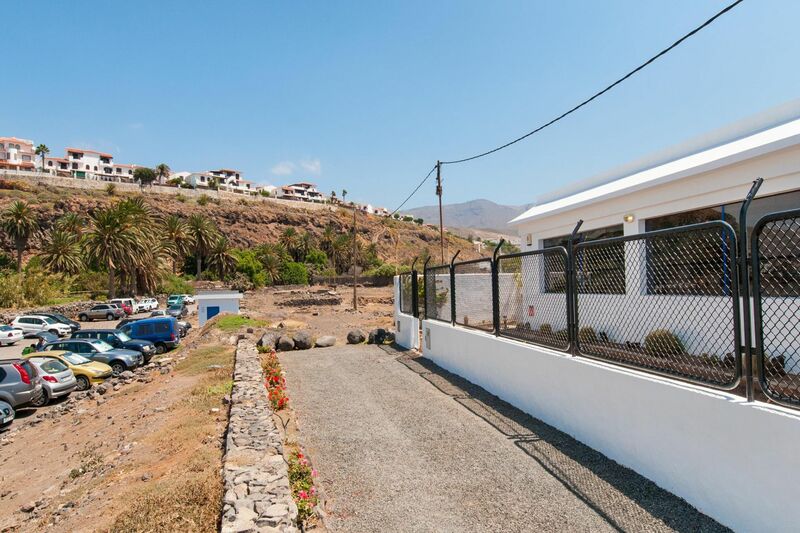 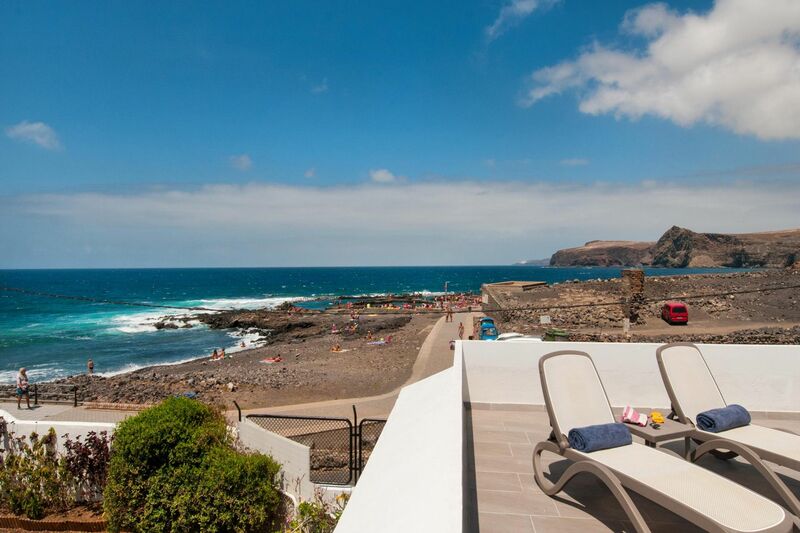 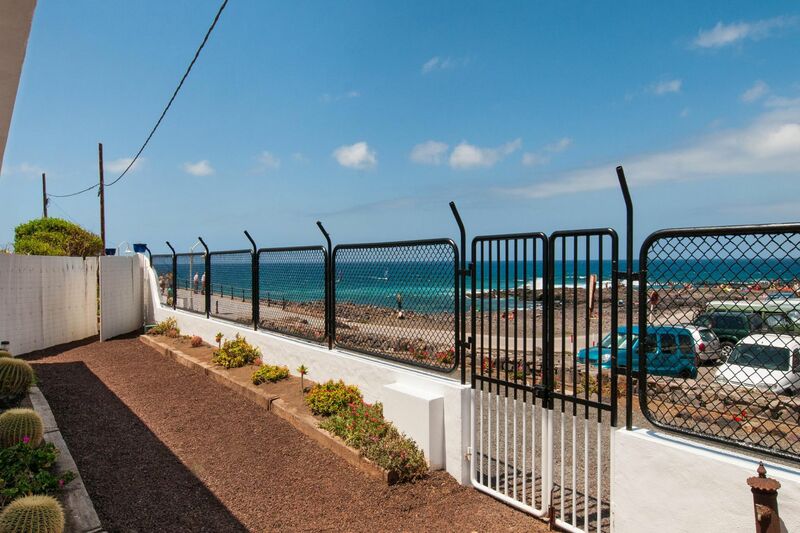 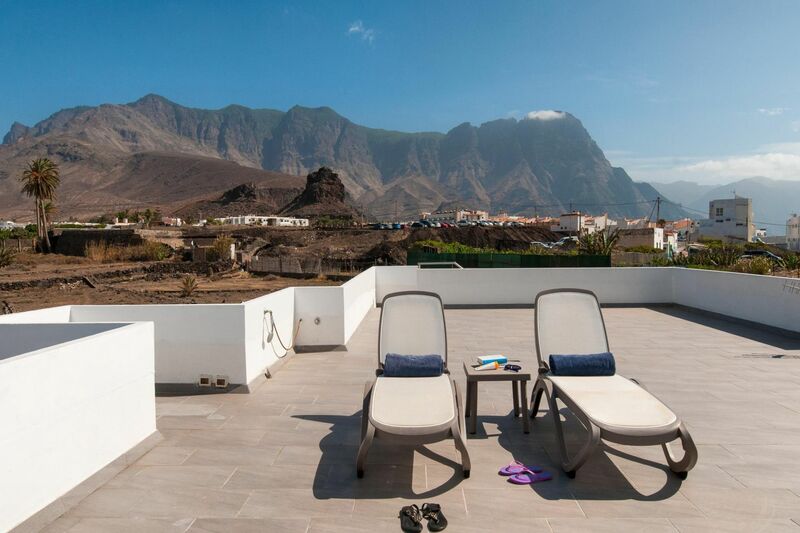 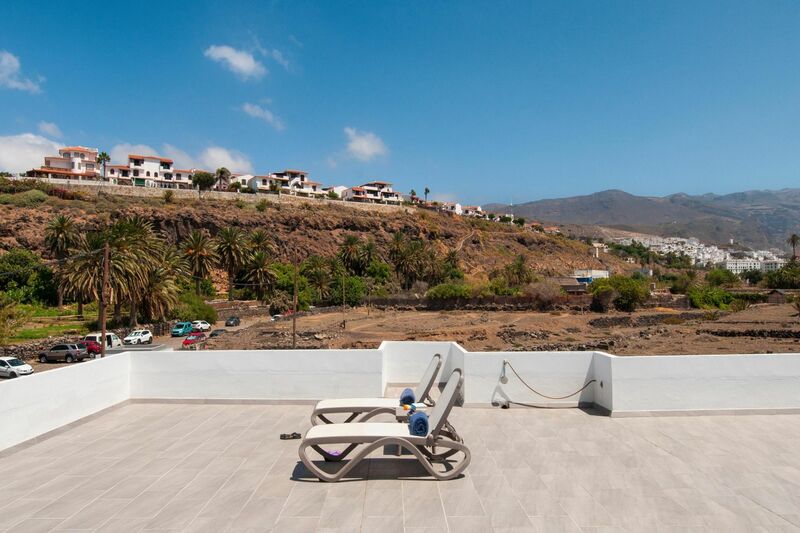 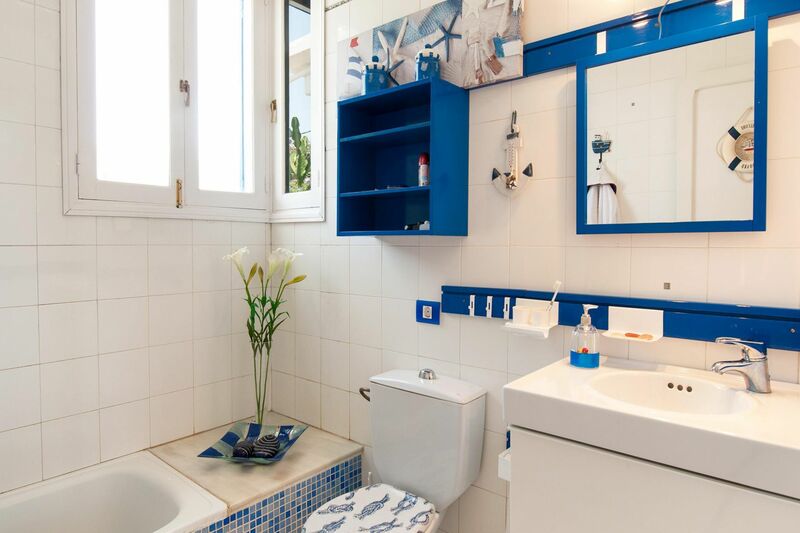 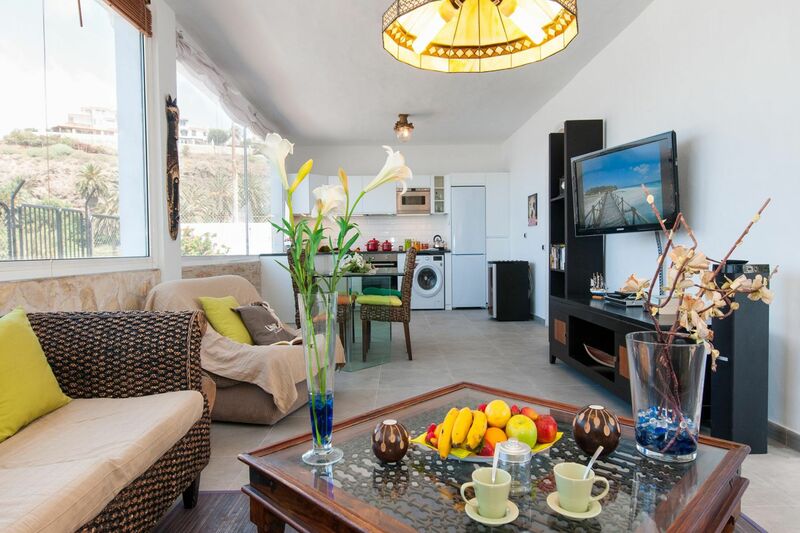 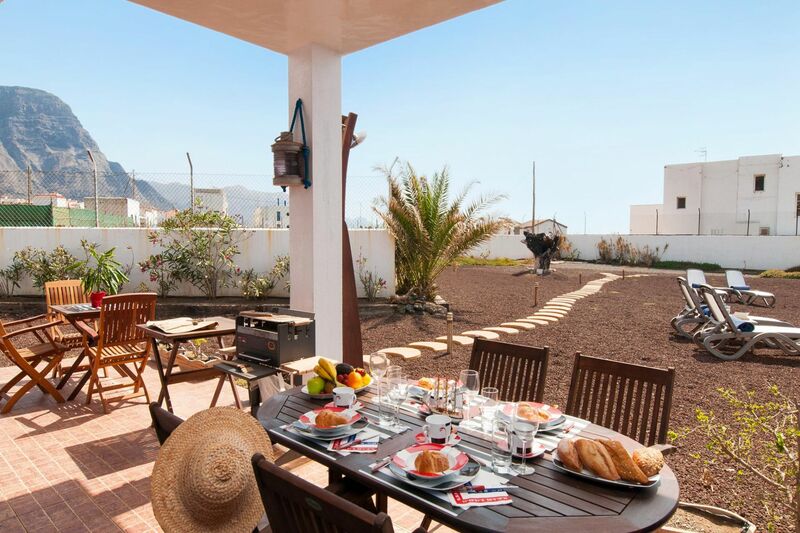 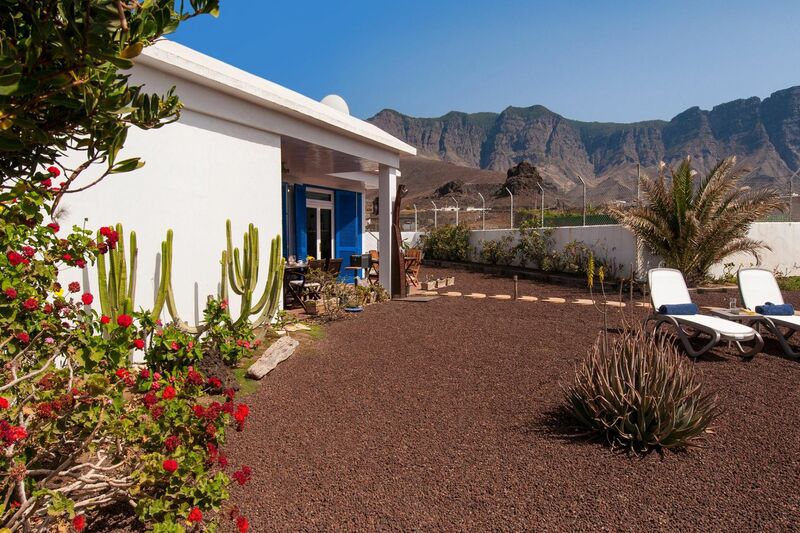 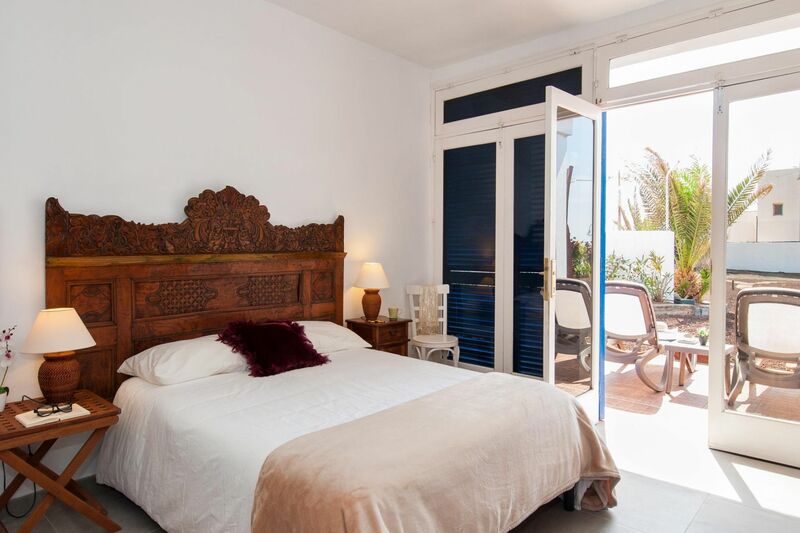 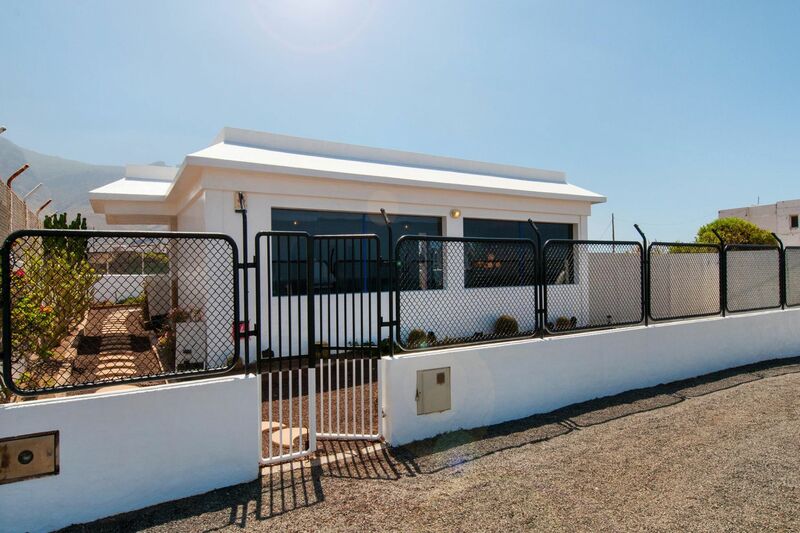 This cozy, modest and lovely holiday house is located in Las Nieves Harbour, the most pintoresque fishing village in the northeast of Gran Canaria. 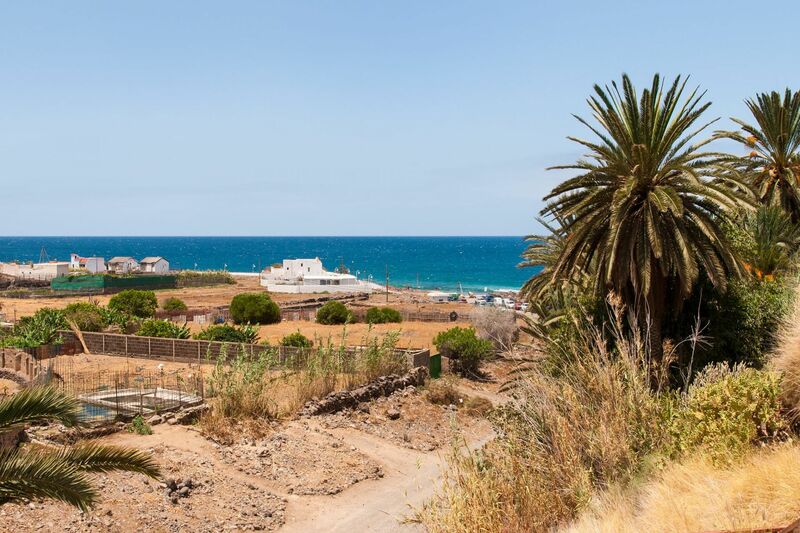 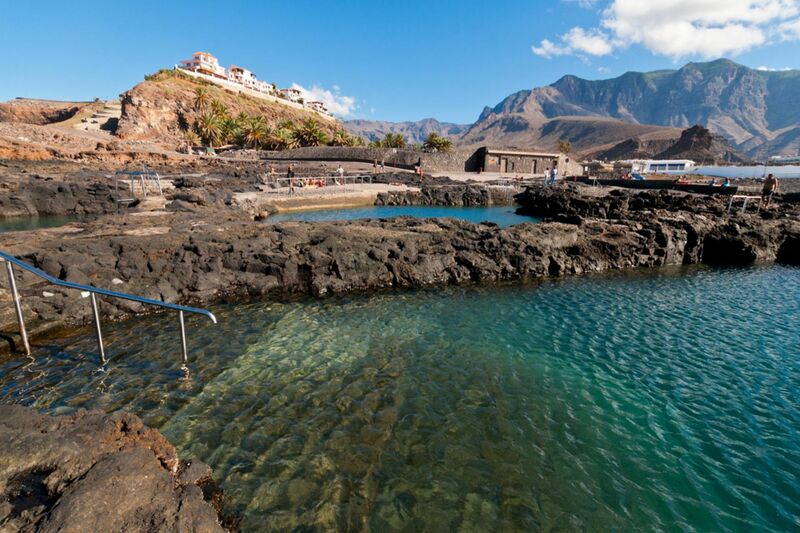 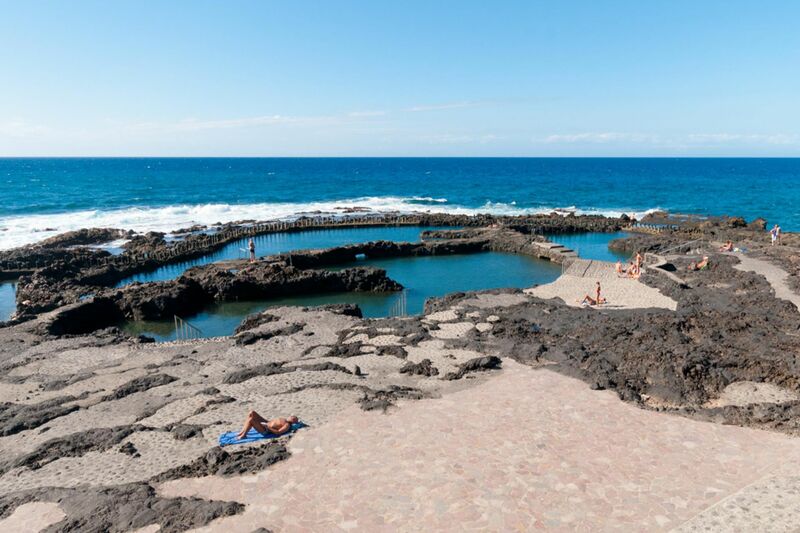 With the best gastronomical offering of Agaete and crystal clear waters, we invite you to fall in love with this typical Canarian “Pueblo marinero” and enjoy its stunning views in the afternoons with Tenerife and Teide Peak in the horizon. 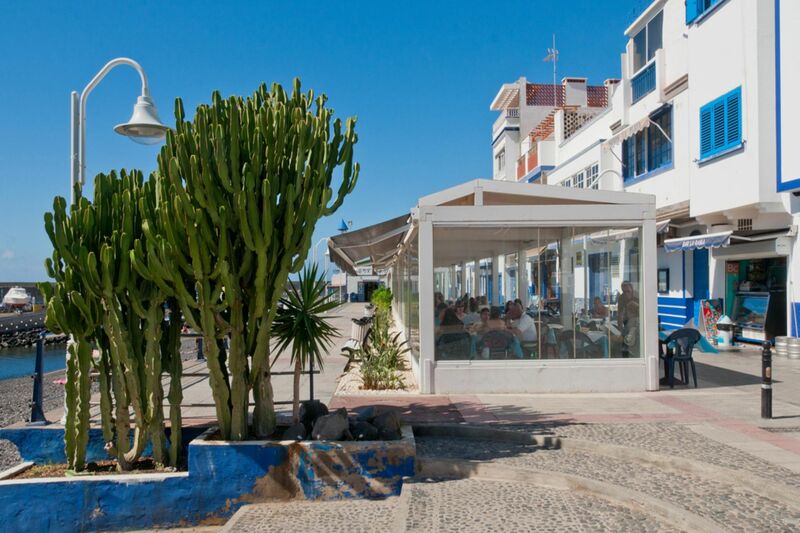 Go for a walk along the “Poets Avenue” full of fresh fish & seafood restaurants and craft shops, the perfect place to meet the locals. 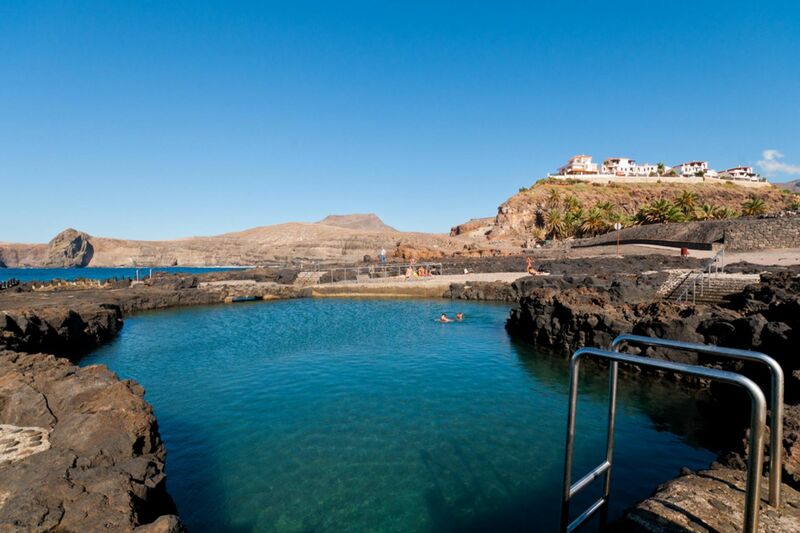 This vacation rental is only a few metres away from the beautiful natural volcanic pools where having a swim is always a fantastic experience! 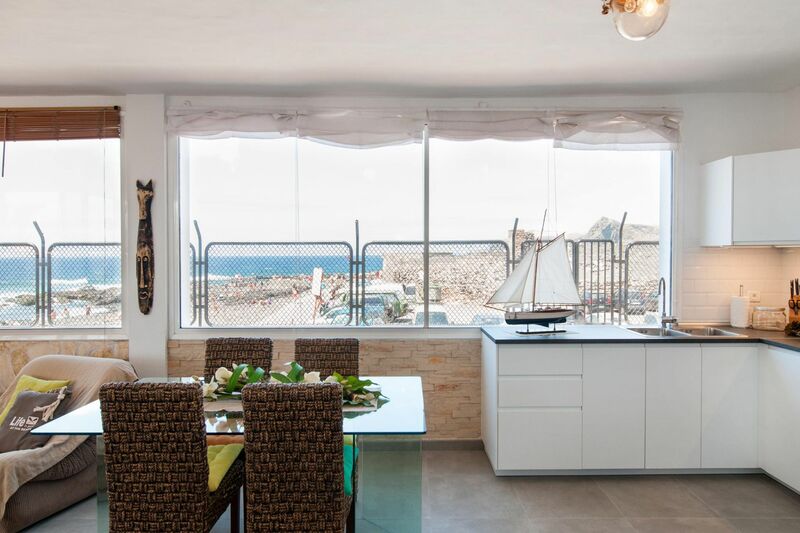 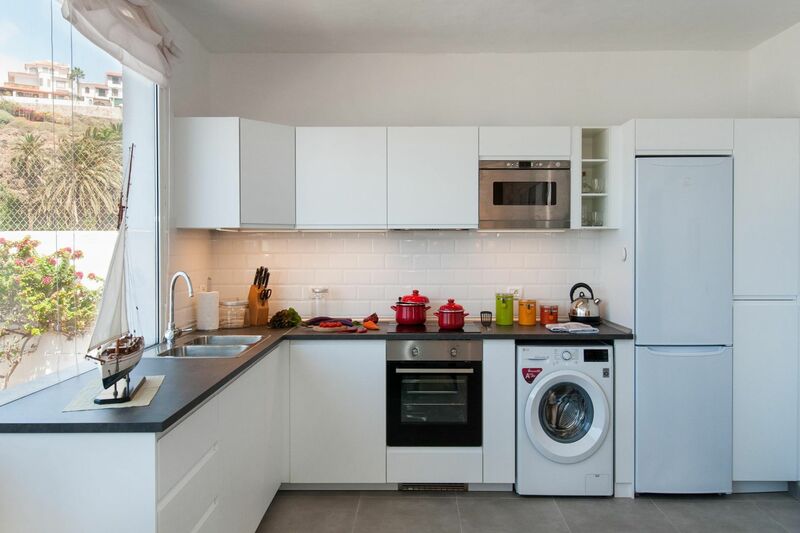 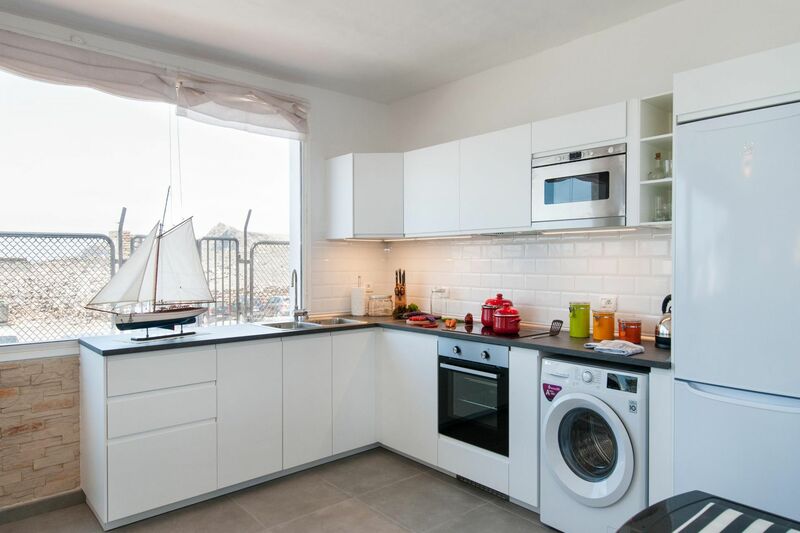 The vacation rental features a nice terrace where you will love having a dinner with your family or friends, a cozy living room with ocean views and a small kitchen. 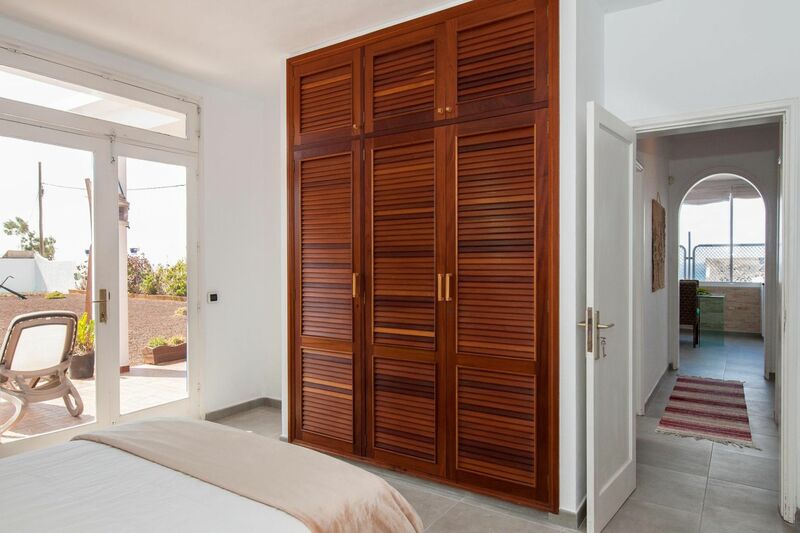 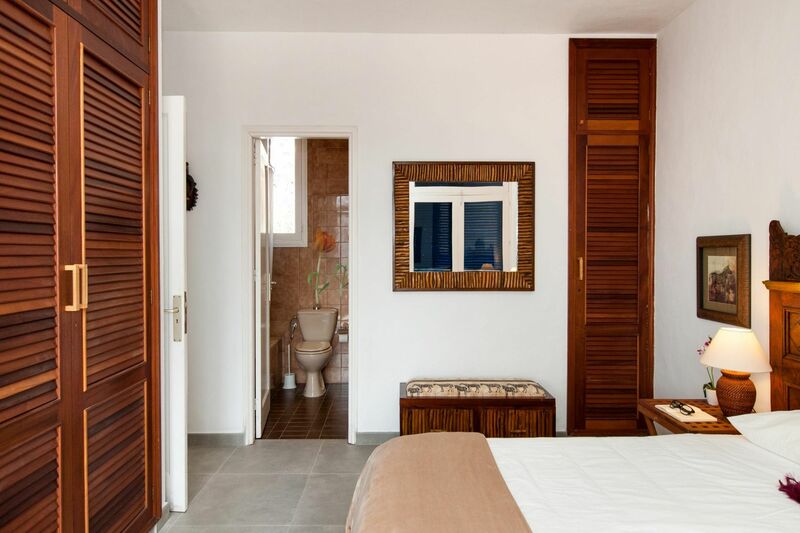 The master bedroom has a double bed and a comfortable en-suite bathroom while the second bedroom, with two single beds has a separate bathroom. 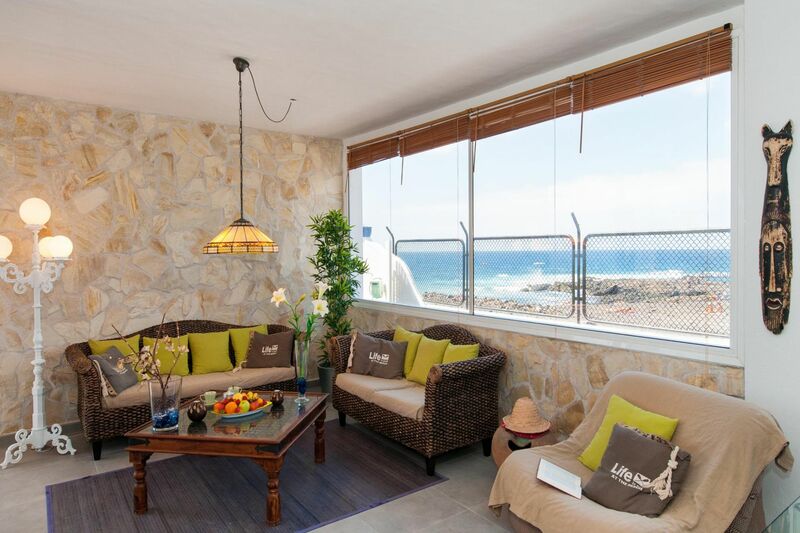 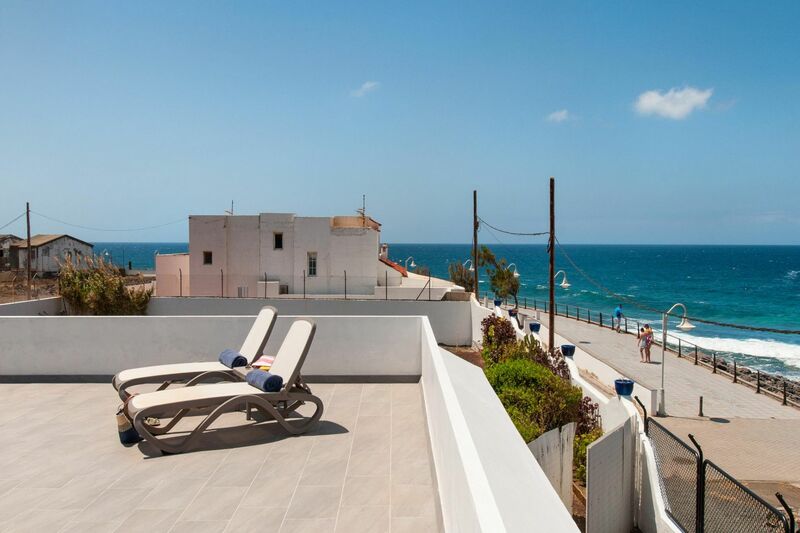 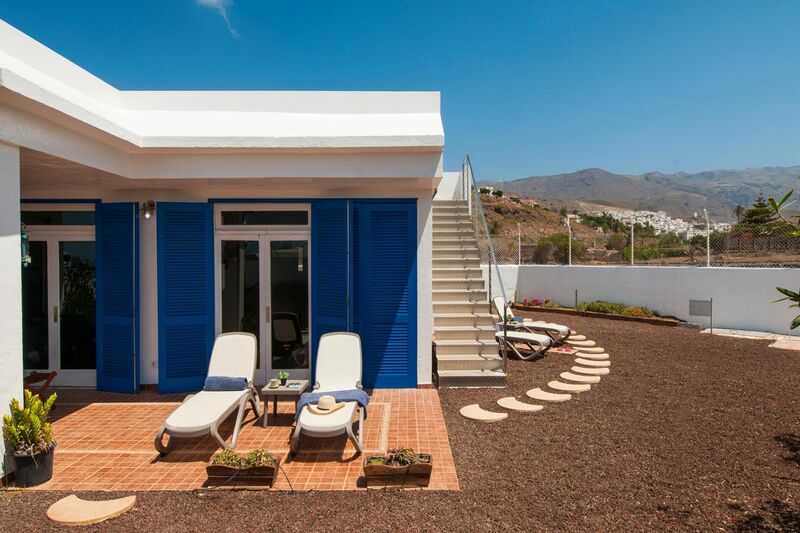 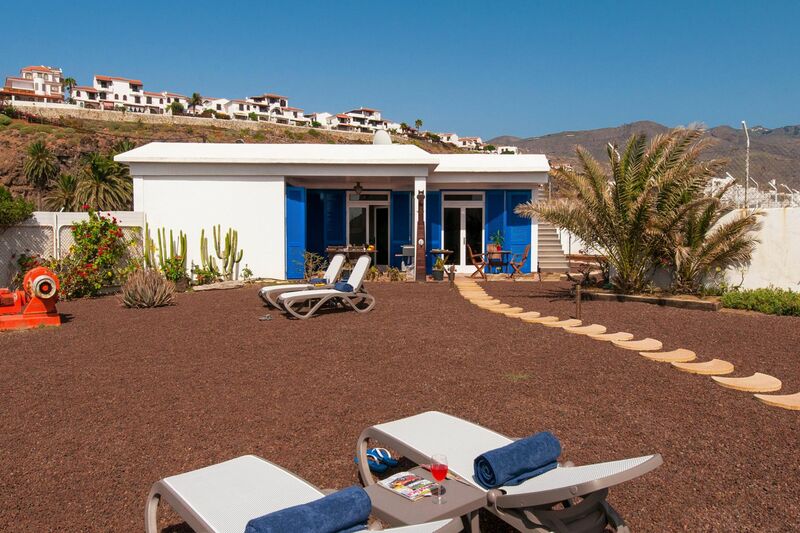 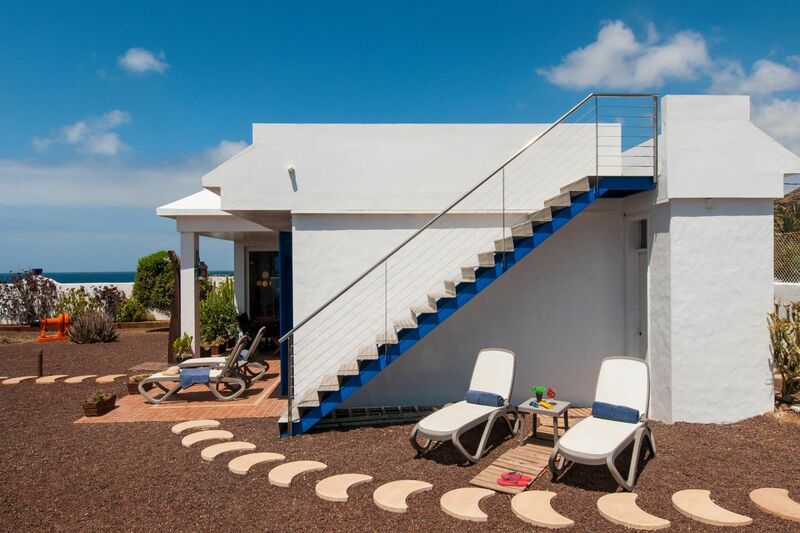 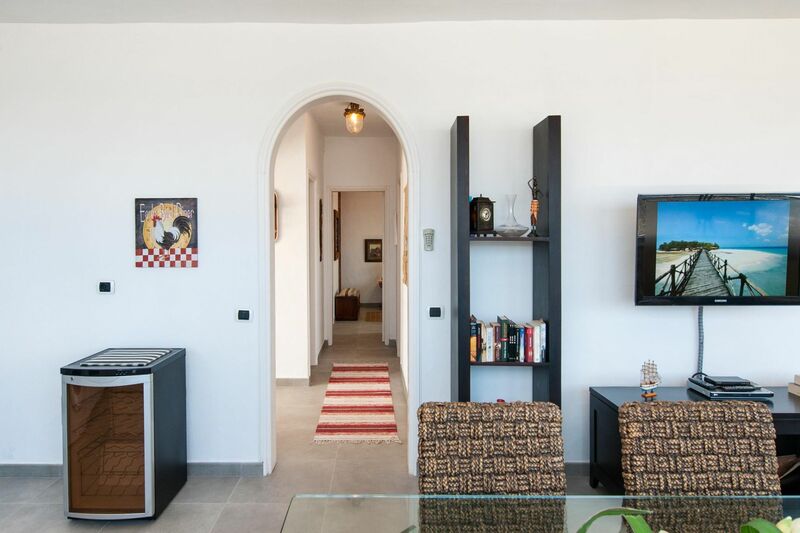 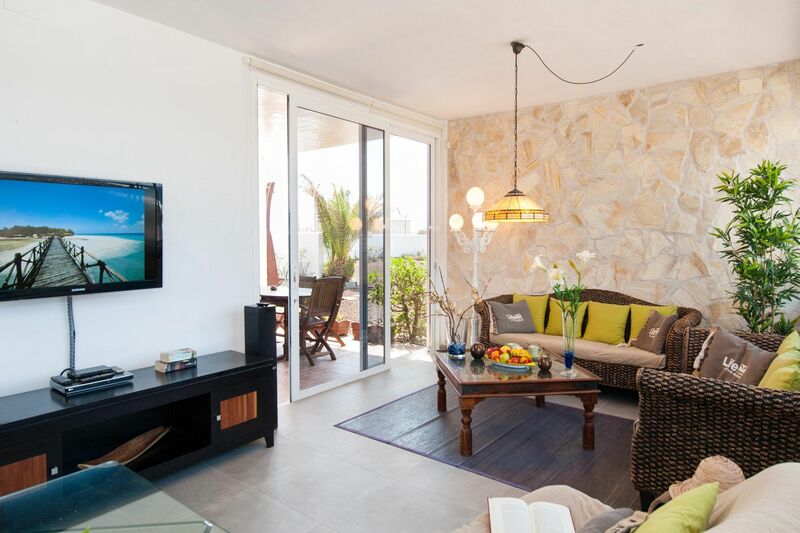 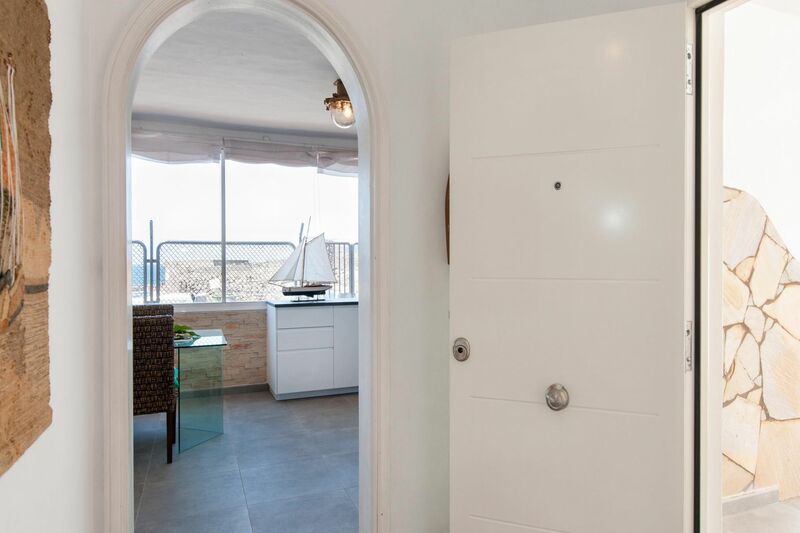 Don´t miss the relaxing feeling of the sea breeze from a sunbed in the roof terraced solarium or in the spacious private patio, with plenty of outdoor safe space for the children to play. 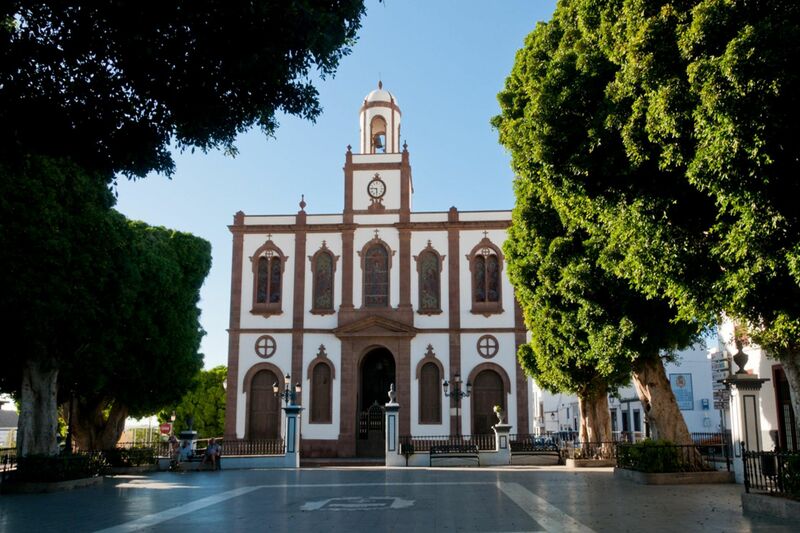 This special corner is 5 minutes drive to Agaete Pueblo and its typical architecture and 10 to Agaete Valley, a complete delight if you enjoy hiking. 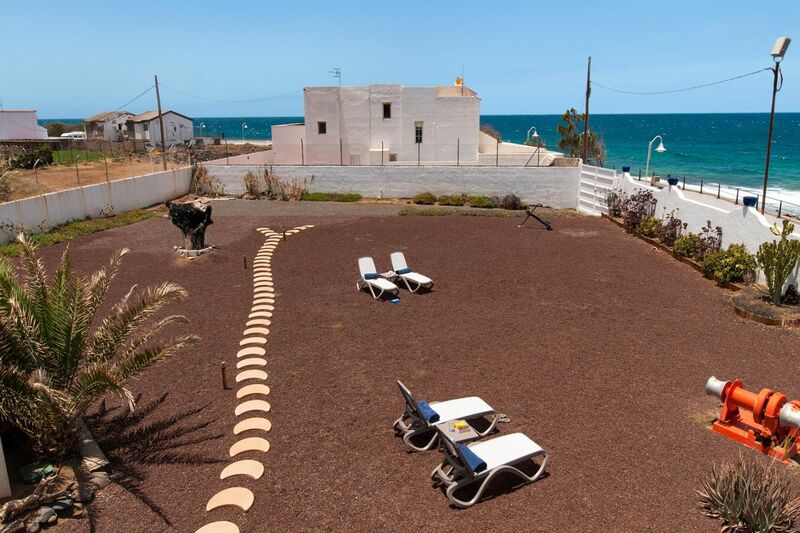 Ideal for those who love Nature,the beach, privacy and quietness. 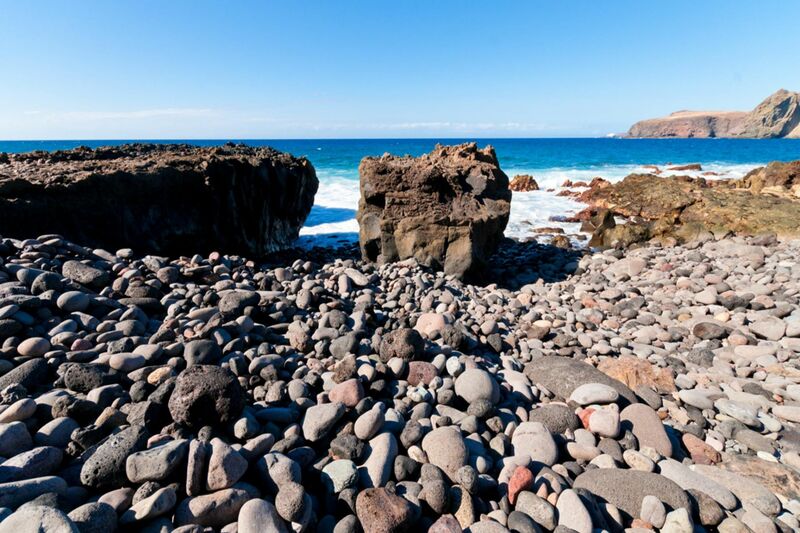 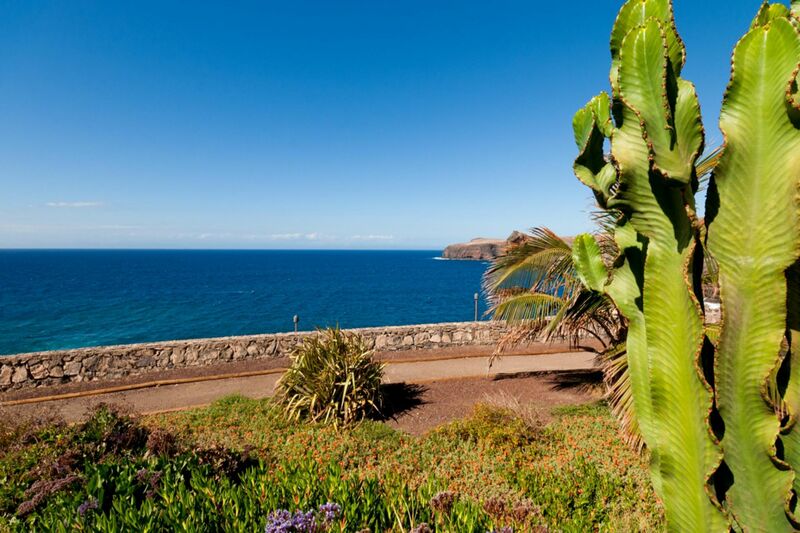 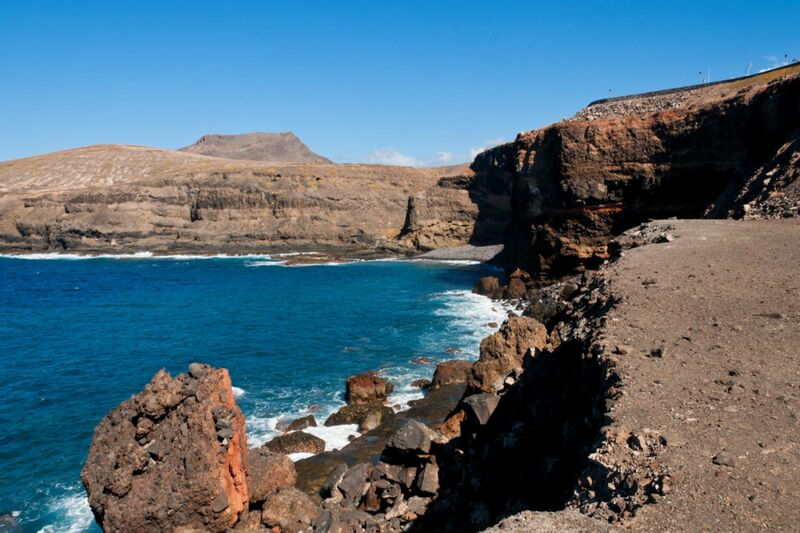 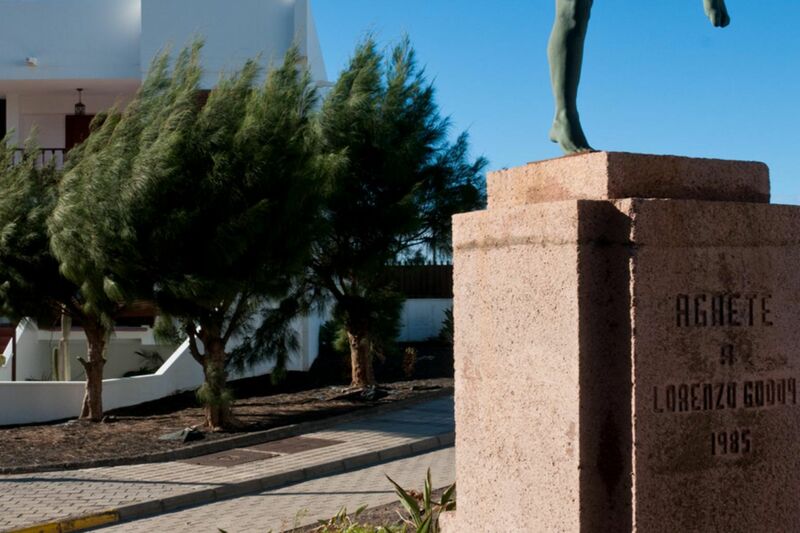 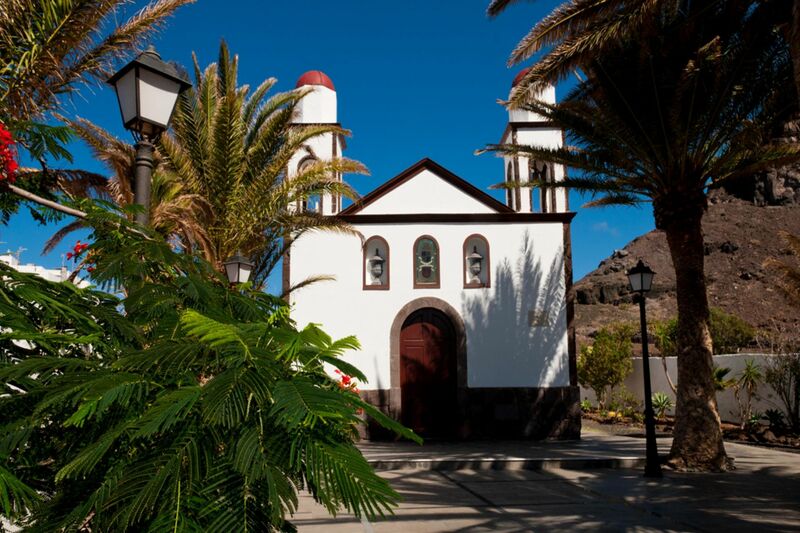 Walk 100 metres and take the two hours ship to the beautiful island of Tenerife.